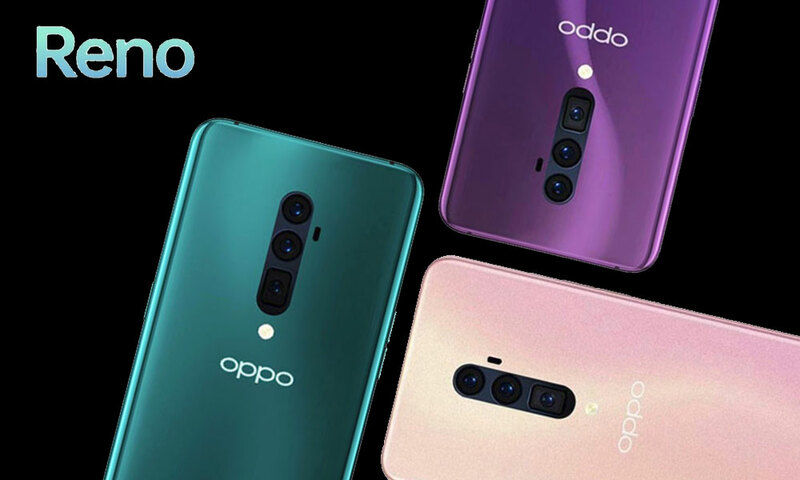 According to report, Oppo (Chinese Smartphone Maker) is going to release Oppo Reno Smartphone on April 10 in China. This upcoming phone of Oppo’s sub-brand Reno has been spotted on AnTuTu and TENAA certification website which has explained features and specifications of Oppo Reno. 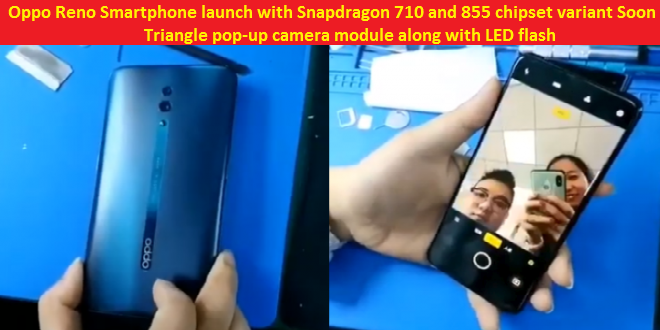 It is expected that the phone will have pop-up camera for selfie, SD 710 processor, 6-8GB/128-256GB storage options and runs on Android 9 Pie OS. Let’s take have a look at AnTuTu and TENAA listing for Snapdragon 710 variant of Oppo Reno Smartphone. When we talk about AnTuTu listing, the Smartphone will have FHD+ resolution display with 2340 X 1080 pixels resolutions and has Snapdragon 710 SoC (System-On-Chip) as well as Adreno 616 GPU. Since, the listing has no information about its battery capacity and camera setup. But, it is confirm that the phone will have 6GB of RAM and 256GB of internal storage variant runs on Android 9 Pie OS. Oppo Reno Smartphone has recorded benchmarking score of 166,935 on AnTuTu. Now comes to TENAA listing for SD 710 variant of Oppo Reno, the phone comes with 6.4 inch FHD+ AMOLED display with 2340 X 1080 pixel screen resolution. It will be powered by Qualcomm Snapdragon 710 processor with Octa-core CPU clocked at 2.2GHz. We are seeing TENAA listing shows that Oppo Reno Smartphone has 48MP + 5MP dual camera setup in back. It has 16MP front facing camera which will be placed in unusually shaped triangle pop-up camera setup with LED flash. Further reports, the phone will be available in two storage variant including 6GB/128GB model and 8GB/256GB of native storage options. Oppo Reno runs on Android 9 Pie with ColorOS 6.0 and has 3680mAh battery with VOOC 3.0 rapid charging. Report says, Oppo has recently announced its new sub-brand with the name of “Reno” via Weibo and Shen Yien, the VP of Oppo has also shared the information about first phone of Oppo’s sub-brand Reno while with high end specifications like SD 855 Processor and 10X hybrid zoom. The phone will have triangle pop-up camera setup which is major feature. 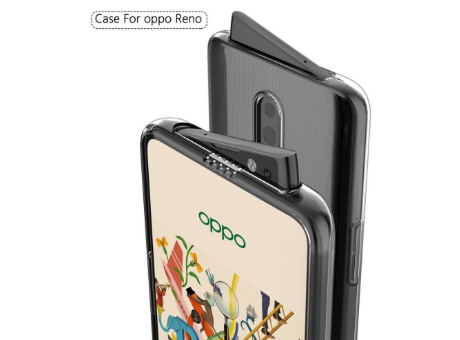 Oppo Reno Smartphone is set to be release on April 10 their year. At the moment, we all have to wait for the phone launch. Anyway, we are researching on the matter very deeply and we will defiantly post an update, if it will come in future. For any suggestions or queries, please write on comment box given below.